We are delighted to announce the Northcote Summer Gala is taking place on Saturday July 15th 11am – 3pm. Now June is upon us here at Northcote Lodge we have all been enjoying the beautiful garden as it all bursts into life. The herbs, the flowers and the grass are all looking magnificent. 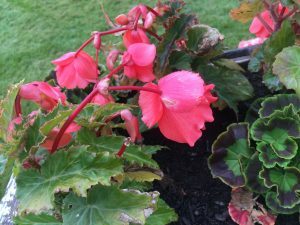 We have recently planted Begonias on our new planters so everyone can admire them from inside, outside, upstairs and downstairs. 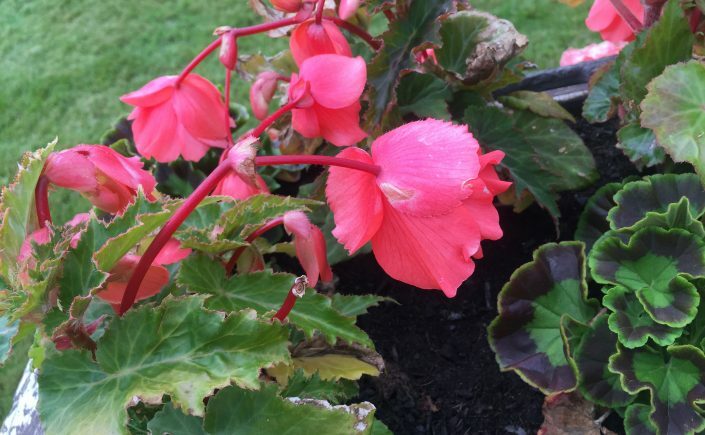 Beautiful begonias looking their best for June. Our Summer Gala will take full advantage of this wonderful setting and we are planning a great day for all residents, friends and families to enjoy. Delicious food and drinks, live entertainment and our legendary Tombola will be in full flow as well as the Summer Gala Raffle. 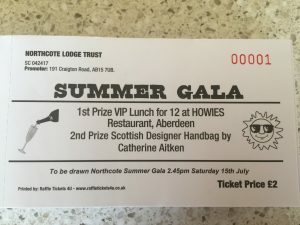 This year we have 3 top prizes; Lunch for 12 with wine in the private dining room at Howies, Aberdeen. A designer handbag from Catherine Aitken and a case of delicious wine. This Raffle ticket is waiting for you ! We are collating Tombola prizes too so please drop a donation in when you’re next passing. The more the merrier! So please put it in your diary now as it’s going to be a great day.